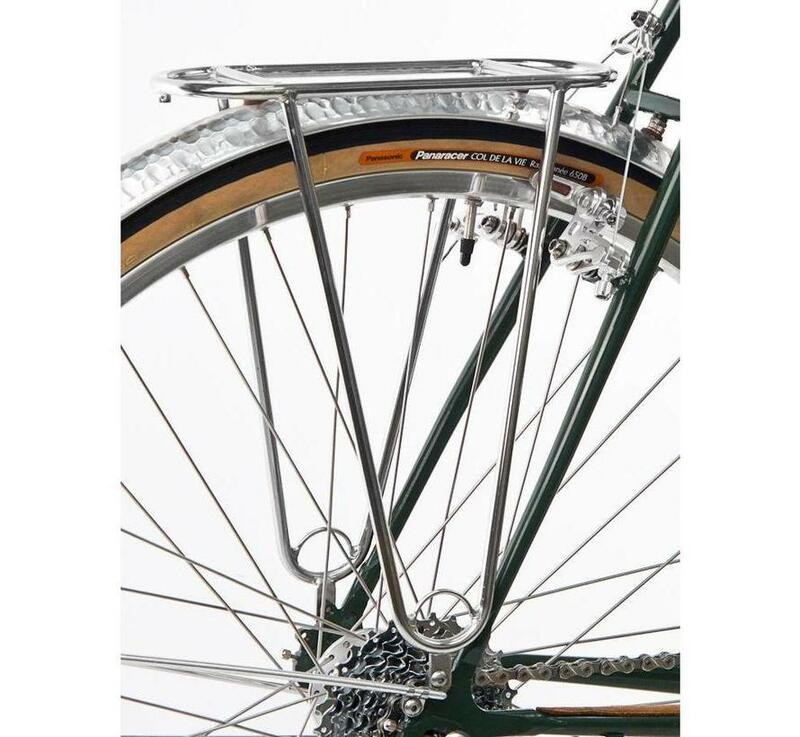 The VO Constructeur Rear Rack fills the need for an elegant, small, and sturdy rear rack for those of us who don't need a heavy duty touring rack. It will accept a set of small panniers for a multi-day trip, serve as a platform for a saddle bag, or carry a rack-top bag. 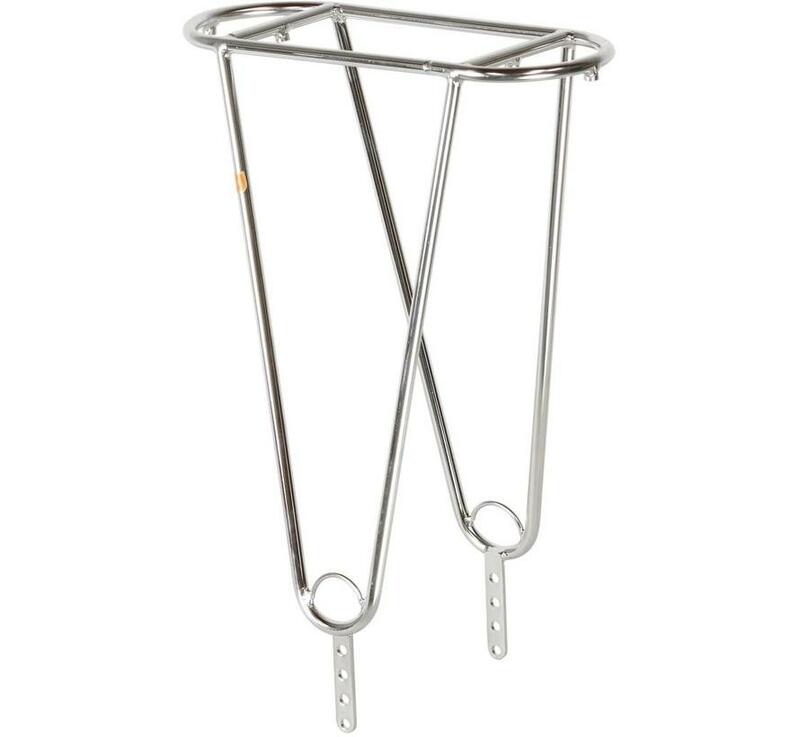 All VO racks are made from polished tubular stainless steel, so they will never rust or flake, and can be re-polished to a mirror shine even after years of use. 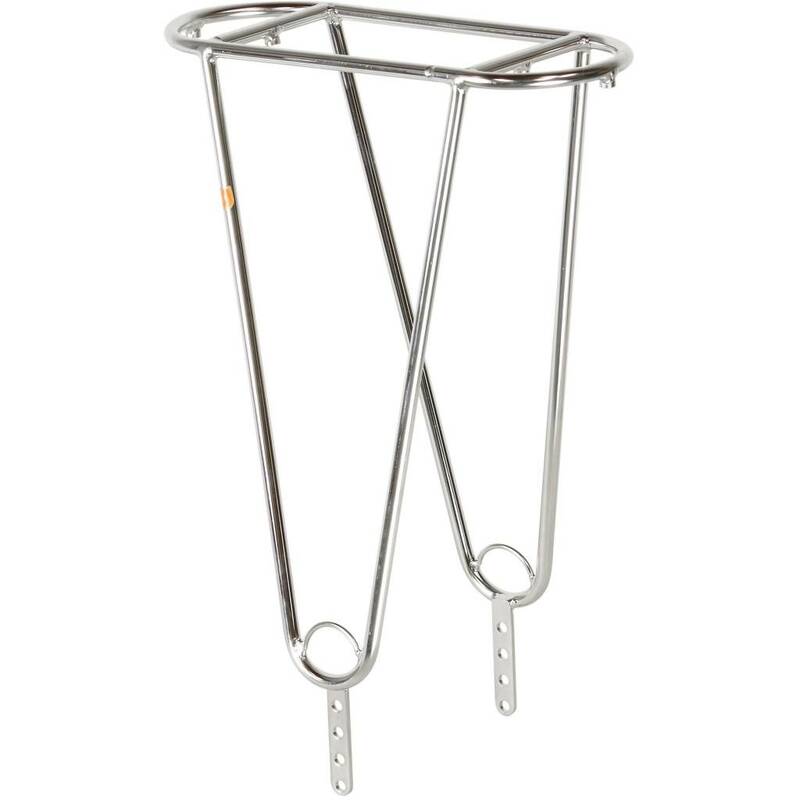 The rack can be mounted two ways. 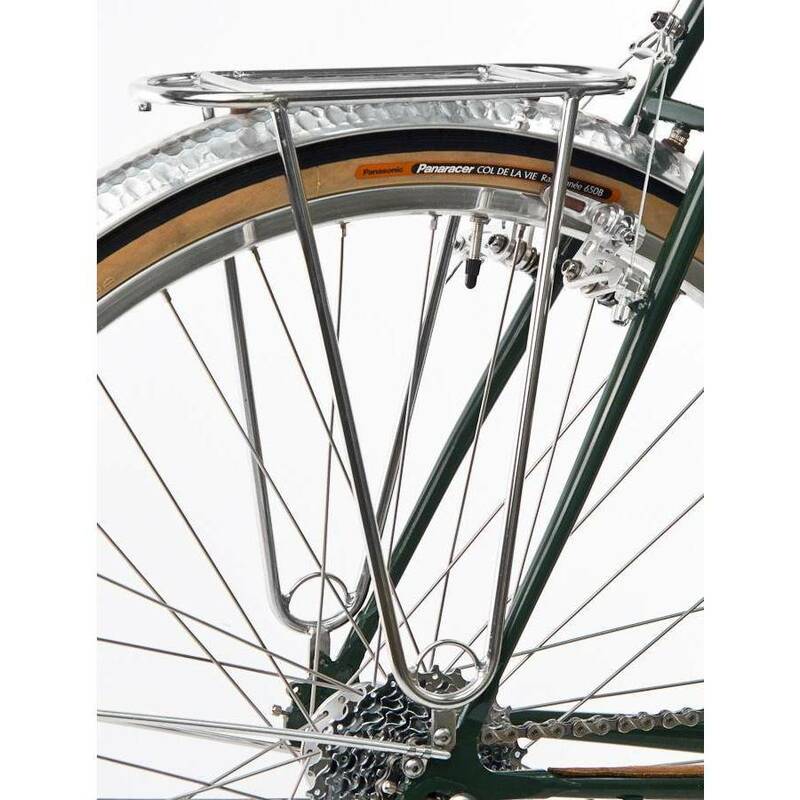 Either directly to the rear fender using the threaded eyelets on the underside of the rack, or by using a strut (not included but available in regular or XL size) to mount to the seatstay bridge. The rack platform is 10.5cm x 26cm. The distance between the cross-pieces of the platform is 148mm. 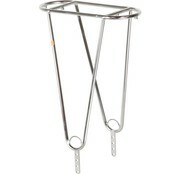 From the center of the bottom hole, the rack stands about 36cm tall. The mounting tangs are drilled in four spots to make it fit most bikes with 700c, 650b, or 26" wheels. Carry your rear panniers in French style. Polished stainless steel. Mounting tangs are drilled in four spots to make it easier to fit to bikes with 26”/650b/700c wheels.